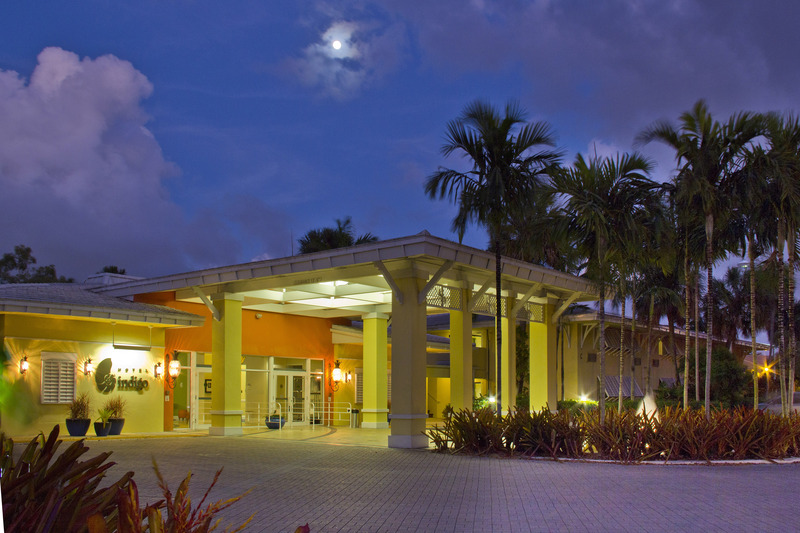 Quite deliberately the Hotel Indigo in Miami Lakes, Florida has been designed as an urban oasis for travelers who look to escape from the common Miami area hotel. 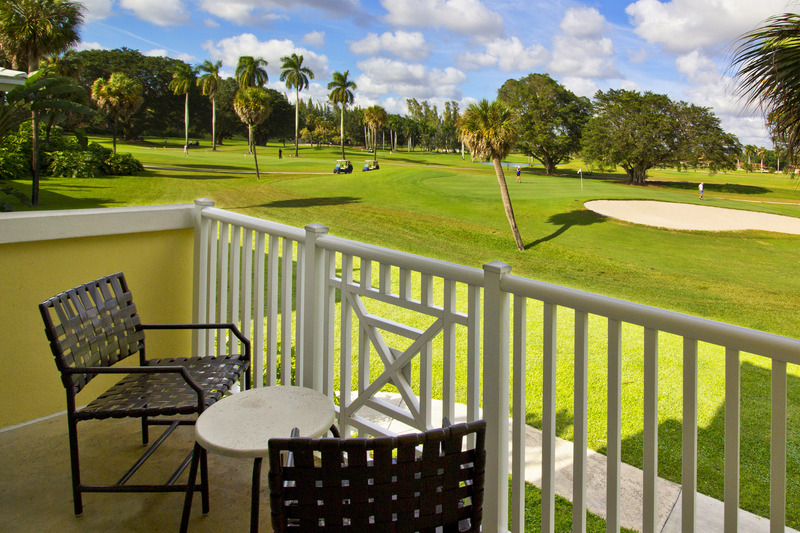 Located in the quiet village of Miami Lakes in northwest Miami, this beautiful facility is surrounded by The Don Shula Golf Club and offers all the amenities of home, plus a 24 hour fitness center, Aveda Concept Spa, tropical pool/spa, the Phi Restaurant and located next door to the Original Don Shula's Steakhouse. 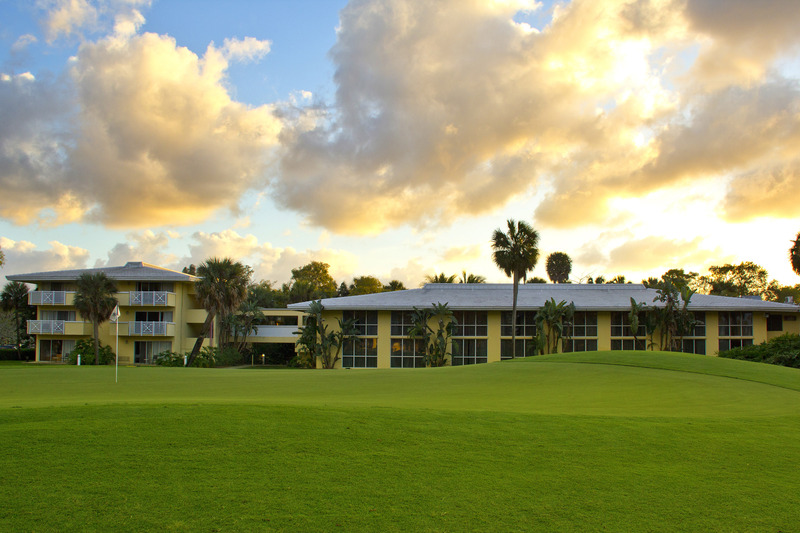 Whether you want to play the famous golf course or relax in the Aveda Concept Spa, the Hotel Indigo offers each guest a blend of modern contemporary living. 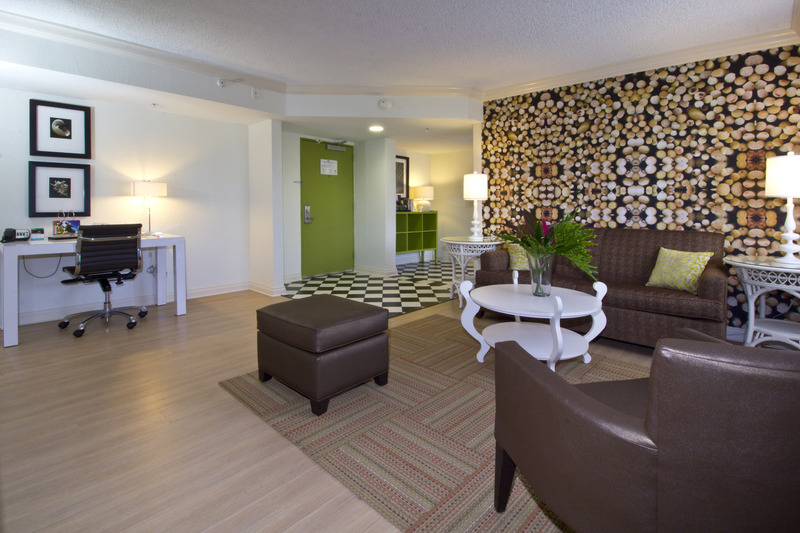 The deluxe guest rooms and suites include hardwood floors, granite counter tops and spa like showers. Curl up in our over-sized beds with plush bedding, duvets with covers, pillow shams and plenty of fluffy pillows. Stay connected with complimentary Internet access throughout the hotel or in our onsite business center. Relax and have a meal or a drink at the Phi Bar that serves cutting edge cuisine or just grab a latte. We proudly brew Starbucks coffee.